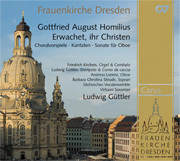 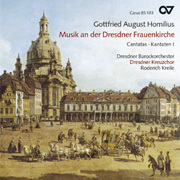 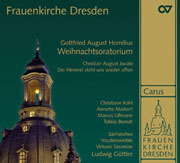 As a result of the destruction of the Kreuzkirche during the Seven Years War, Gottfried August Homilius, the longtime Kreuzkantor and a pupil of Bach, performed his professional musical duties primarily at the Frauenkirche in Dresden. 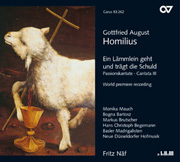 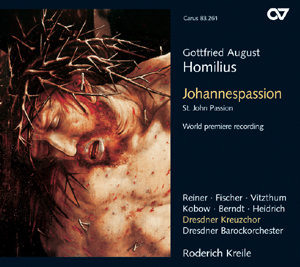 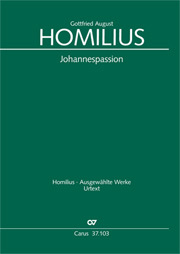 The connection between traditional form and styles ranging from the "sensitive" to early classical have earned Homilius's St. John Passion its special place in the repertoire - musically and textually the events of the Passion presented here display a new and exceptional character. 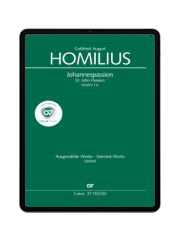 The roll of the choir is limited primarily to the singing of the chorales and turbae, but especially in the latter Homilius shows why he is so highly regarded as a choral composer. 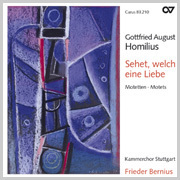 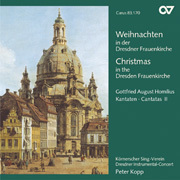 Kreuzkantor Roderich Kreile presents this work of his predecessor in a recording on a high artistic level, is characterized by majestic sound and intensity.